Atlanta’s favorite “Too Rock for Country, Too Country for Rock” sons Blackberry Smoke are seasoned pros at creating electrifying albums quite unintentionally. Their 2016 hit Like An Arrow was the result of band practice meet-ups and that record wound up reaching Number One on Billboard’s Top Country Albums. Their sixth full-length studio album, Find A Light, came out of several songwriting sessions with Blackberry Smoke frontman Charlie Starr and former Buckcherry guitarist Keith Nelson during a long winter break. Neither began with the intention of creating a record, but sometimes the best art emerges from the shadows. Self-produced on the band’s 3 Legged label through Thirty Tigers and tracked live at Madison Recording in Atlanta, Find A Light’s 13 tracks explore themes of community, temptations, humanity, frustrations and looking for positivity in a chaotic political and cultural climate. 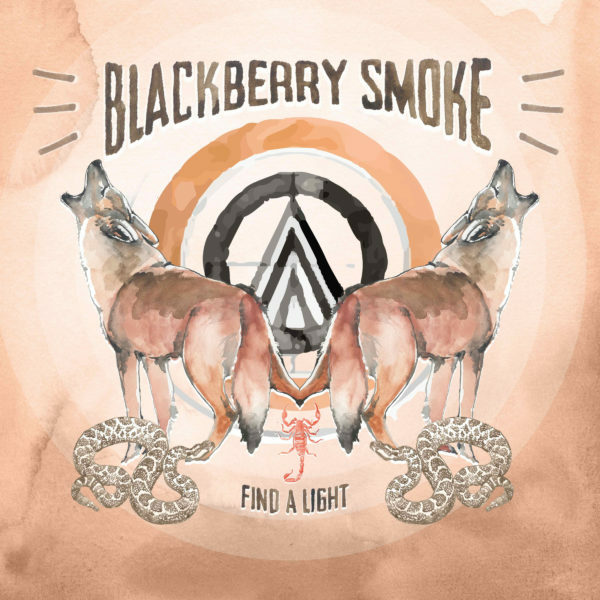 You can hear influences from classic rock icons such as Led Zeppelin and Lynyrd Skynyrd, which permeate Blackberry Smoke’s songs, but don’t dominate as the band’s originality always shine through. Hints of bluegrass, classic country, the Black Crowes and Tom Petty also appear with the latter’s influence abundant while recording “Best Seat In The House” and because of that, it almost didn’t make the record. While listening to the track, news of Tom Petty being taken to the hospital unconscious popped up on everyone’s phones, then shortly afterward he passed away. It was unanimously decided that this song needed to be on the record as a homage to one of their heroes. Besides Nelson, Find A Light features Amanda Shires on “Let Me Down Easy”, the Wood Brothers on “Mother Mountain” and Robert Randolph who co-wrote and performs on “I’ll Keep Ramblin'”, a beautiful gospel-tinged song originally written as an instrumental piece. Find A Light delivers with a high dose of nostalgia, flaming instrumentals, and poignant lyrics. Longtime fans and new listeners will love this record and should probably have a bucket of water handy for when it sets their pants afire.